After a very successful social dialogues phase, our group of children actively participated in a research project. The question: “Why do Children tell lies on the Internet?”. Well why do they tell lies? Our research produced a range of theories around this. 79% of the respondents if they told lies did so told because they felt left out by their friends. 67% if they told lies did so because they did things online that they didn’t want their parents to know about. Despite this however 73% of respondents declared they were actually honest online. Overall 80% of respondents did not think it was ok to tell lies on the internet. 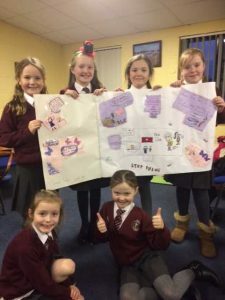 Well done Cycle 1 participants for researching telling lies online and providing evidence that being a good digital citizen is alive in NI from our group of respondents. 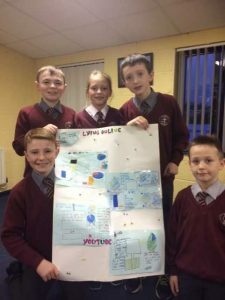 Our Children celebrating the results of their research with their final posters.